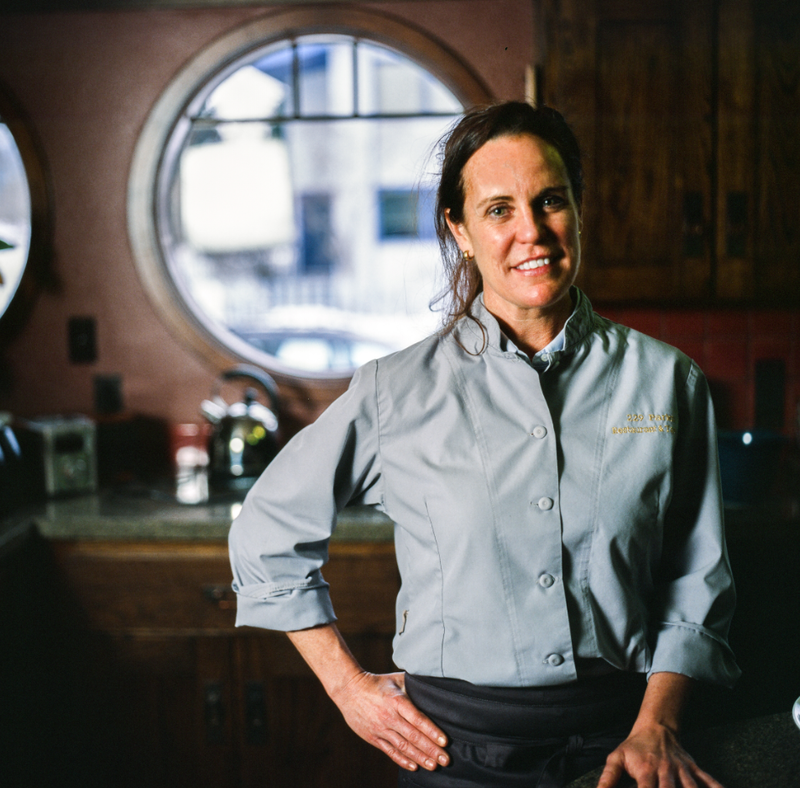 Chef Laura Cole first moved to Alaska in 1994, before power lines had been installed between Fairbanks and Anchorage. So, while living near Denali National Park, she relied on power from generators. It was a totally new experience for someone who had grown up in the suburbs of Detroit. Despite the challenges of day-to-day life, Alaska became home, and Laura would spend most of her summers there. Working for a lodge at Denali National Park, she immediately fell in love with the creative energy, humor and satisfying hard work found in kitchens. Laura then pursued advanced placement culinary programs at the New England Culinary Institute in Montpelier, Vermont, and the Escoffier Institute in Paris, before traveling the world working in kitchens all over the globe… including Antarctica. Laura became the Head Chef at the Amundsen-Scott South Pole station where the the sun rises and sets just once a year. She spent a summer working in the highest, driest desert in the world – and loved it. She would plan the weekly menu for 150 scientists and construction workers and pull a sled to get ingredients with outside temperatures often reaching 50 below zero and colder. Working and living conditions in Antartica are brutal, and supplies are scarce. Compared to the South Pole, Alaska could be considered temperate. Laura soon decided to settle down and open her dream restaurant. In 2005, she opened 229 Parks Restaurant and Tavern, at the entrance to Denali National Park. The menu features the bounty of Alaska’s brief but plentiful summer season. Laura also forages for spruce tips, fireweed shoots, a variety of wild berries, juniper, morels, wild ramps, and fiddleheads. She has friends who forage for sea lettuce and other coastal plants, and they often barter for ingredients. Alaska is the largest state in the United States by total area at 663,268 square miles, so defining Alaskan Cuisine is a tall order. Laura, always a boundary-pusher, has made it her mission.